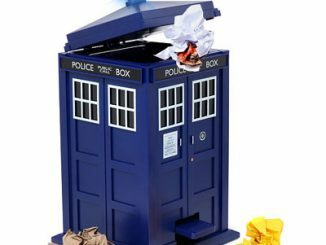 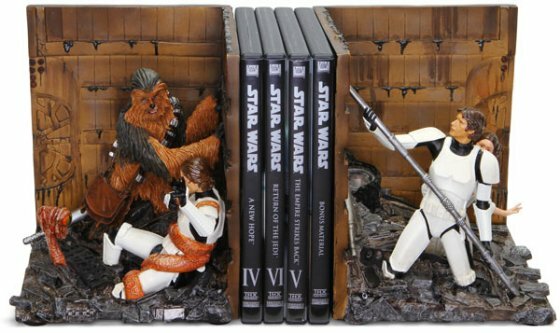 They won’t crush your books, but it will look like Han and the gang are trying to stop the trash compactor and save them. 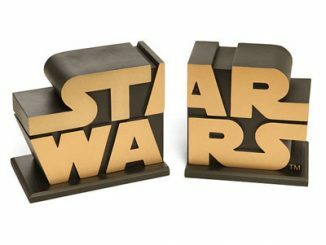 These are an officially licensed Lucasfilm product, so when you buy them you’ll know that you are supporting George Lucas himself and more movies/cartoons/figures. 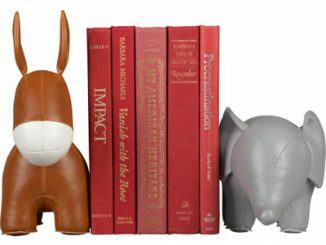 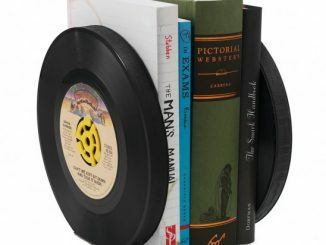 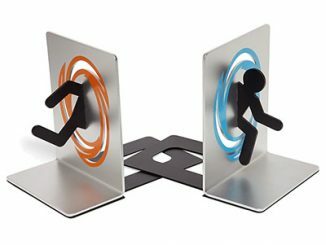 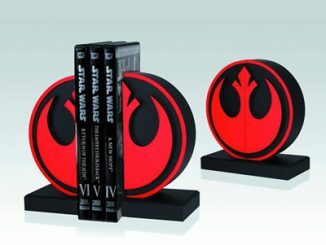 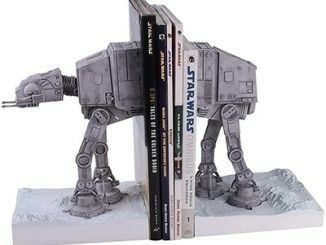 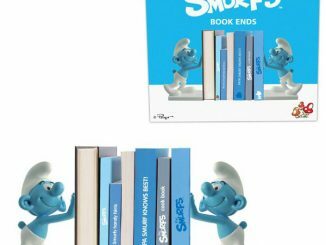 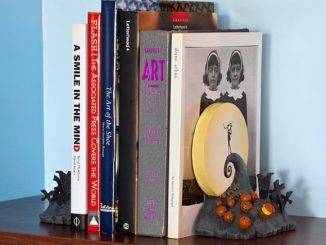 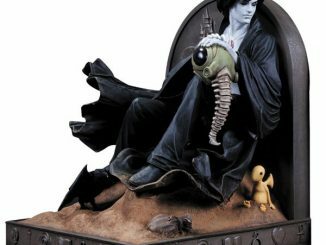 These bookends are cast in high-quality polystone and hand-painted, which explains the $199.99 price tag from Thinkgeek. 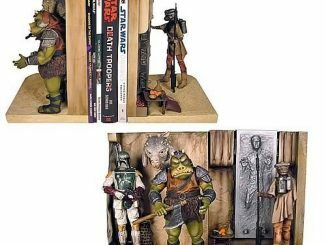 If you’re more of a Return of the Jedi fan, check out the Jabba’s Palace Bookends that feature Han Solo in carbonite, Princess Leia disguised as a bounty hunter, and Boba Fett standing guard.